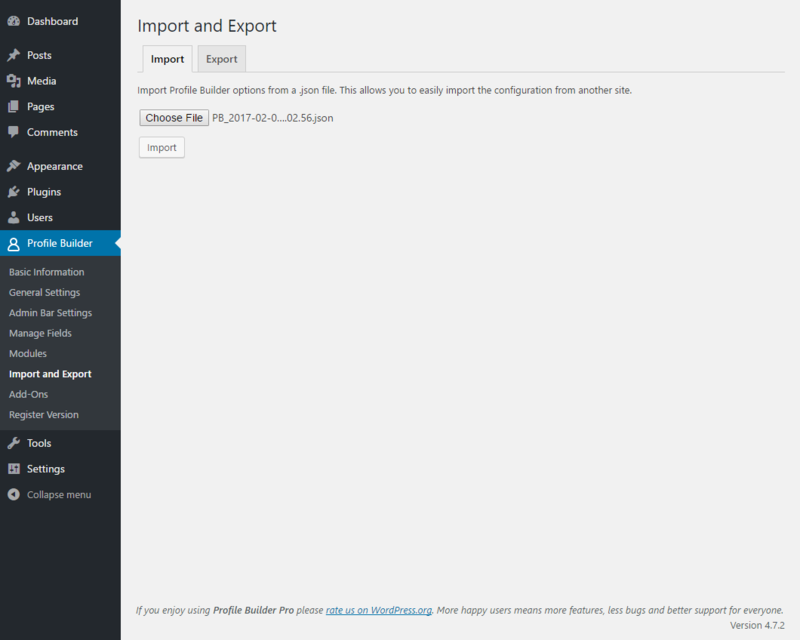 Import Export Add-On will help you to export all Profile Builder Settings data to a .json file. You can then use this file as a back-up or you can import this data on another instance of Profile Builder. 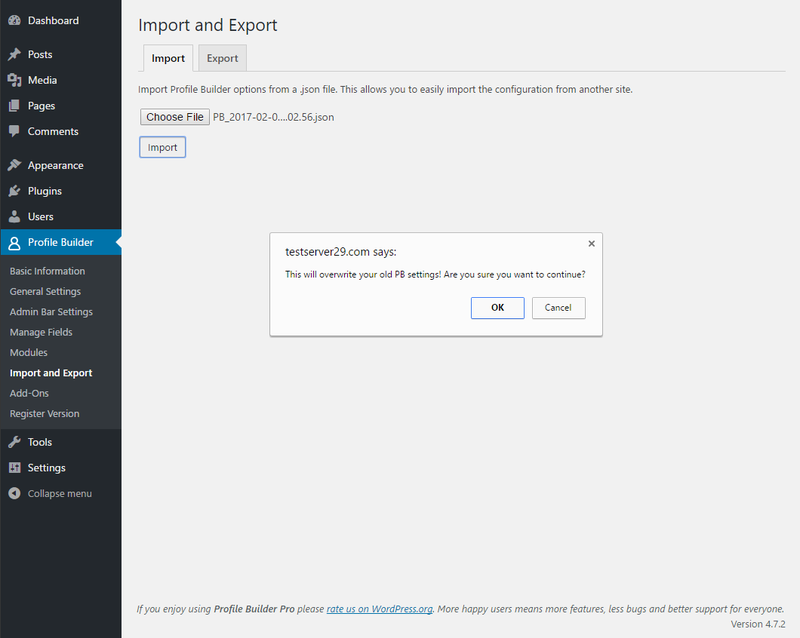 Alternatively, you can install the Import Export Add-On by extracting the folder found inside the archive and uploading the entire folder via FTP to your /wp-content/plugins folder found inside your WordPress install. 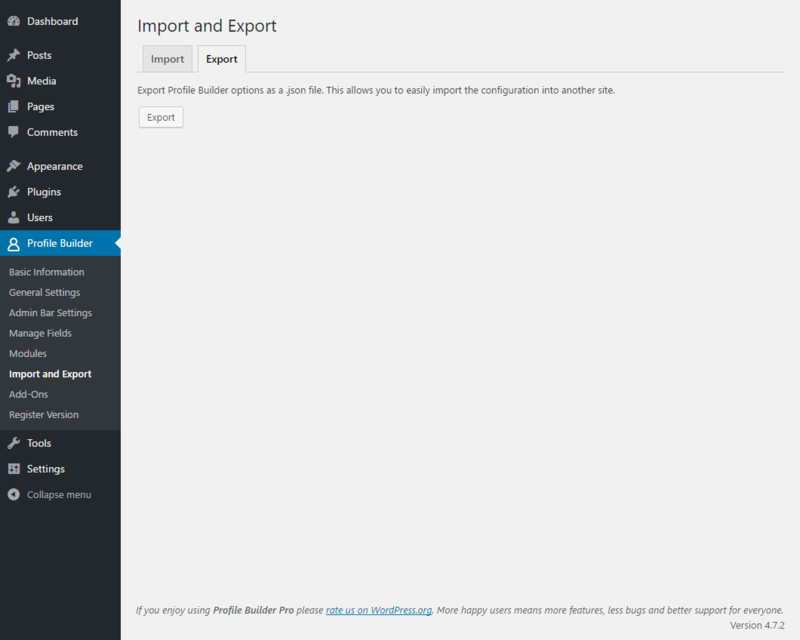 Import tab allows us to choose an exported Profile Builder file (in .json format) and import it to database. This will overwrite the old settings from the database with imported ones. There is a popup window to check if we are sure to overwrite the old settings of Profile Builder. Import will overwrite only settings that are in the exported .json file. 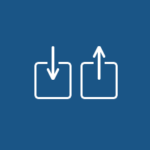 If you change an option after you export, that option will be imported back once you import the file. Export tab allows us to export Profile Builder settings from database (in .json format).